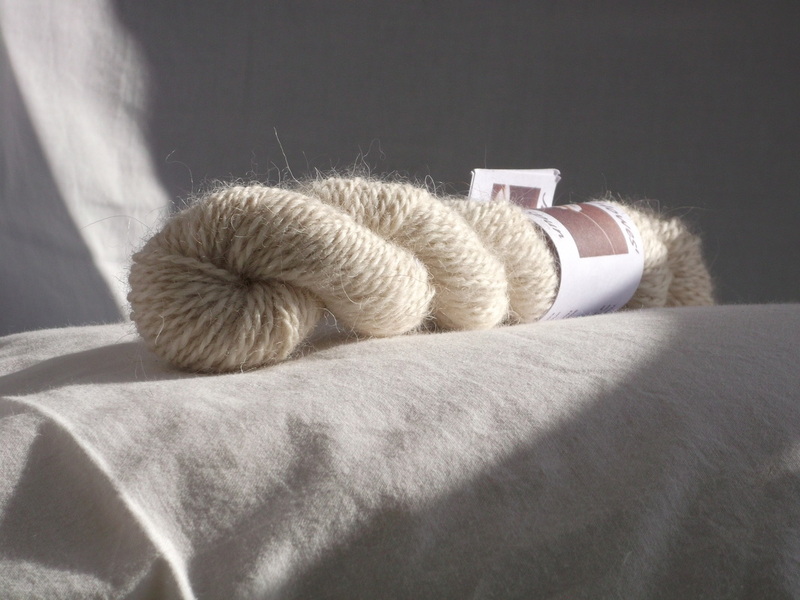 The kits include: hand spun yarn to make one bear; yarn to embroider face with & to knit a scarf; a cd with the pattern and a photo tutorial showing how to make the bear & enough pure lambswool stuffing for one bear. 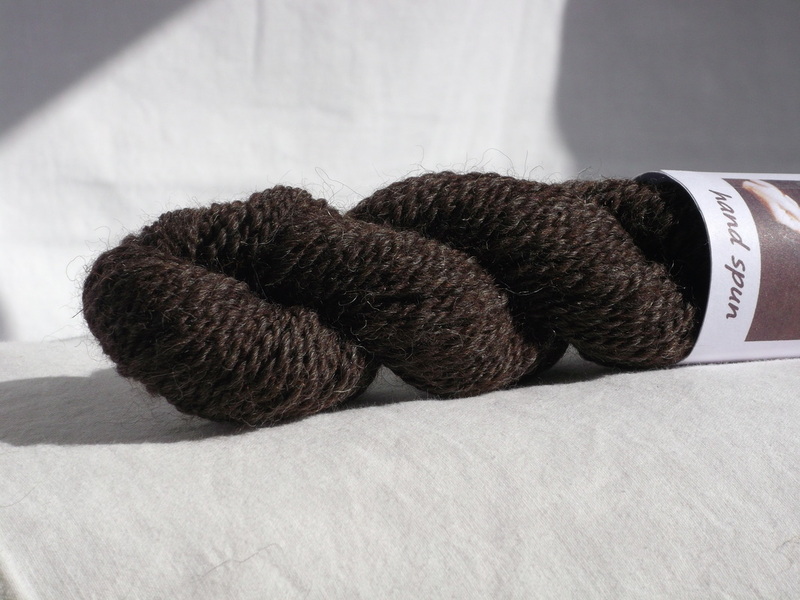 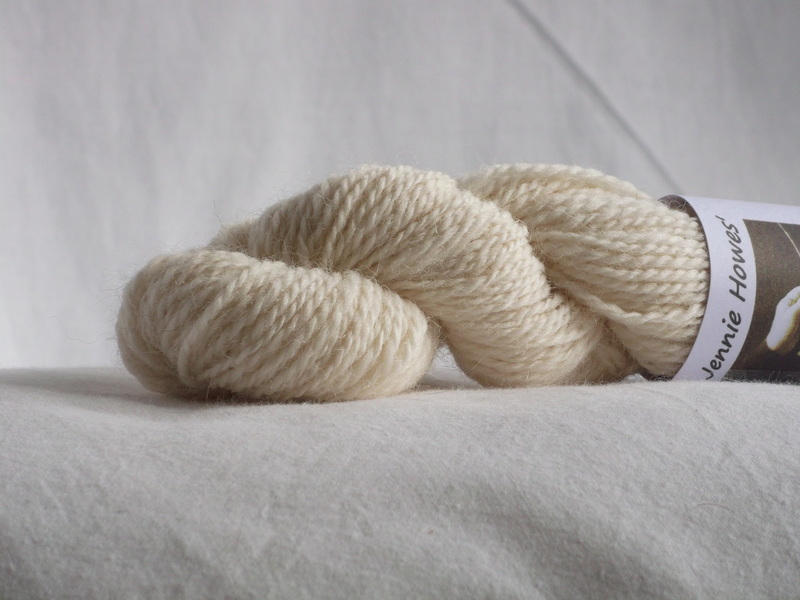 All kits have a different hand spun yarn - see photos below. 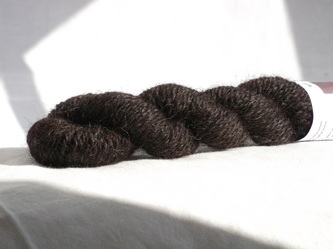 The pattern is the same for all bears featured on the bear page, it's just the yarn that makes a difference, some are thicker than others so you will get a larger bear (but only by a centimetre or two) than with a finer yarn, but they will all come out at about the same size! 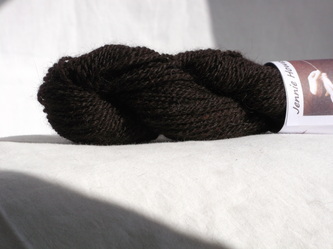 As well as the yarns shown below, I also have some more ready to go up, I just have to take photos of the yarns, but I have a lovely Shetland humbug yarn - like Mathan shown on the bear page; a Whitefaced woodland yarn; and a Cheviot white yarn. 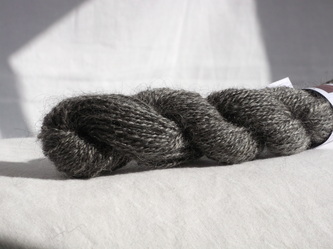 I will be adding other yarns when I spin them, but if there is any particular fleece that you would like, then please get in touch using the contact form. 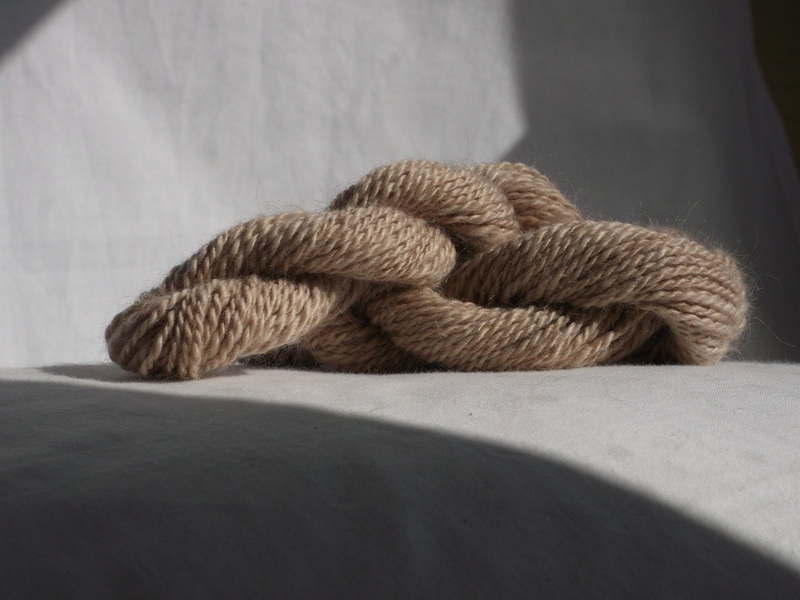 For an idea of the types of fleece available, take a look at the hand spun yarn page. 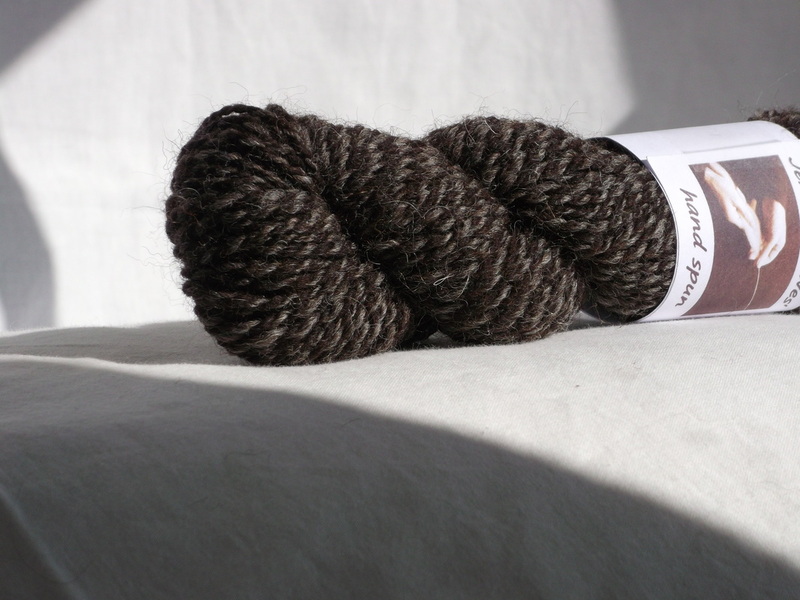 Kits are priced at around £20 each (depending on whether you choose Cashmere or Herdwick (! 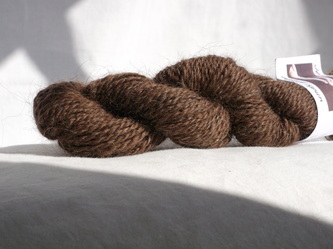 ), plus post and packing - to the UK that's £5 - anywhere else - please email for a price! Please order using the contact form and payment is by Paypal, thank you.